McDonough Marine Service announced the launching of another new barge MARMAC 304 (300’ x 100’ x 20’), the third in a series of new ABS ocean classed deck barges commissioned by the barge and tug company. 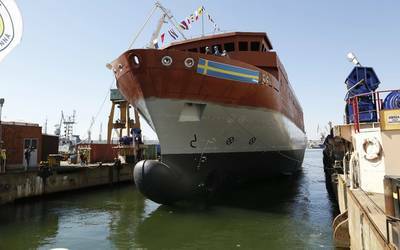 The barge was built for McDonough Marine Service by Signal International in Orange, Texas. 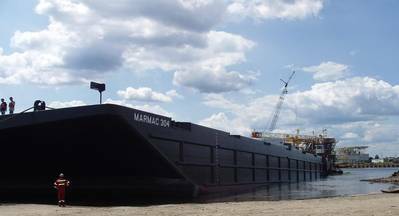 The MARMAC 304 barge was designed with an ABS Load line maximum cargo capacity of 13,200 short tons and uniform deck strength of 4,500 lbs/sq. ft. The MARMAC 304 will be delivered and ready for charter early next week and eventually will be fleeted in Amelia, La.